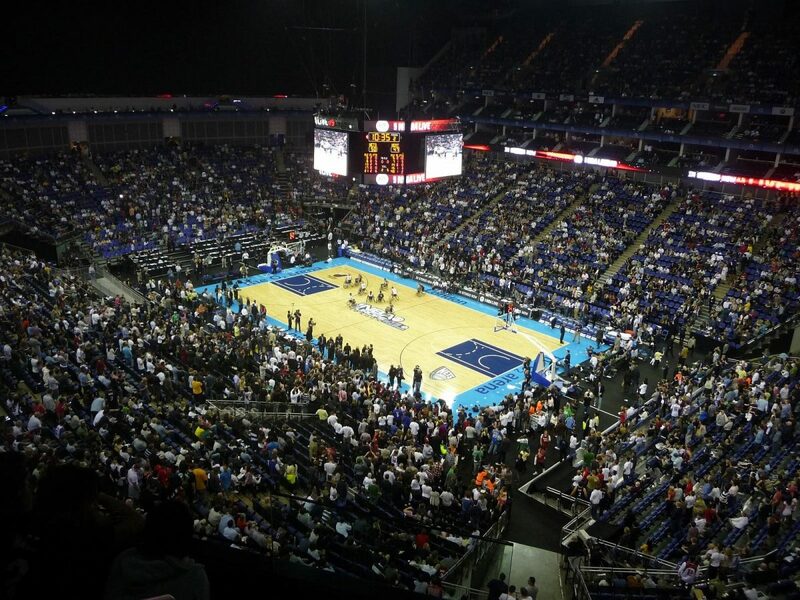 An exhilarating spectacle, The O2 Arena hosted NBA London’s ninth regular season matchup last night (17th January). The Washington Wizards narrowly beat the New York Knicks with a 101-100 victory on their first visit to London (the Knicks’ third, having defeated Detroit Pistons in 2013 and lost to Milwaukee Bucks in 2015). The Knicks’ fifth consecutive loss, the team now stands alongside the Chicago Bulls with the NBA’s second-worst record (10-34) after the Cleveland Cavaliers, clearly fraught in their first season without LeBron James. And while the Wizards ultimately won the game, the first three quarters were very much dominated by the Knicks. The game’s first field goal came from the Wizards’ Tomas Satoransky, yet the Knicks accumulated 30 points, ending the first quarter with a 10-point lead. Unfortunately, Knicks centre Enes Kanter was not present, following an ongoing dispute with Turkish President Recep Tayyip Erdogan. Earlier this month, the 26-year-old announced that he would not partake in his team’s London game due to fears of assassination. While playing for Oklahoma City Thunder in 2017, Enes Kanter was stopped in a Romanian airport after the Turkish embassy cancelled his passport. Later, on social media, he announced his belief that the move was a consequence of his political views and public criticism of Erdogan. The following month, Kanter’s father was detained by the Turkish government due to his son’s political views, Kanter said. His father, Mehmet, has since disavowed his son and his beliefs. In place of Enes Kanter, Luke Kornet started as the Knicks’ centre, scoring an impressive 16 points, including four three-point shots in the first quarter. Centre Mitchell Robinson was also on hand, having missed the past 13 games due to ankle and groin injuries. Returning with an aggressive dunk at the beginning of the second quarter, Robinson recorded four points and two rebounds within the space of ten minutes, as well as blocking a shot from the Wizards’ Chasson Randle. December’s ‘Eastern Conference Rookie of the Month’, Kevin Knox, on the other hand, played a relatively underwhelming game, scoring just five points in 31 minutes, missing all six of his three-point attempts. His Knicks teammate, Emmanuel Mudiay, however, scored a team-high 25 points. The Knicks continued to dominate throughout the second and third quarters, with a handful of highlight plays from the Wizards: notably performances from Satoransky and Otto Porter Jr., plus Troy Brown Jr.’s dunk on Frank Ntilikina. The Wizards continued to fight back in the final quarter, ultimately outscoring the Knicks (24-11), with Otto Porter Jr. pushing the Wizards into the lead (92-91) for the first time since the beginning of the match, with just four minutes until the end of play. While Wizards star Bradley Beal missed six of his first seven shots, the 25-year-old shooting guard nailed two three-point shots in the final quarter, finishing with a total of 26 points. The Knicks, meanwhile, played for over five minutes without scoring. Finally, Allonzo Trier – celebrating his 23rd Birthday – was called for goaltending on a lay-up by Washington’s Thomas Bryant, creating a dramatic finale while swatting the ball away from the net with just 0.4 seconds on the clock, pushing the Wizards’ final score to 101-100. A devastating last-second defeat for the Knicks, inevitably boosting Washington Wizards’ confidence for their home draw against Detroit Pistons on Monday (21st January).